An aerobatic joy flight offers a totally unique, adrenalin-pumping experience, that literally puts all your senses on overload. Let’s be honest. There are many people for whom the world of soft adventure is just never going to be on the agenda. So choose to go straight and level instead and still enjoy the open cockpit thrill, looking down on the world with no perspex between you and the view! But perhaps you are one of those who are fortunate enough to be exhilarated by extreme and adrenalin-pumping pastimes. 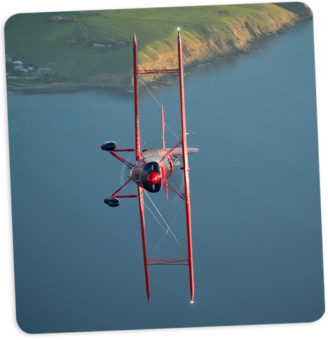 In which case, an aerobatic joy flight in our open cockpit,slick, fast and sassy Great Lakes biplane, is going to be something you will most certainly want to add to your list of experiences. Alternatively, and while this sort of thing may not be your cup of tea, you may well have someone in your life for whom an aerobatic flight would certainly make the ultimate, truly unique and perfect gift. 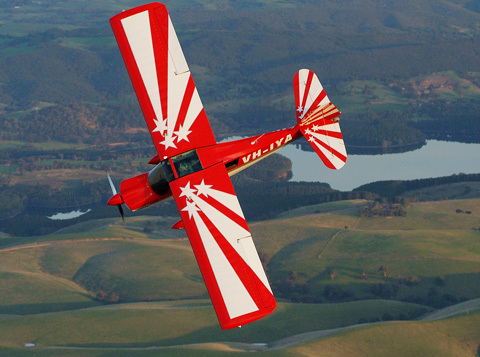 In either instance, the Great Lakes biplane flight you book will be in one of the world’s finest aerobatic aeroplanes and under the control of a highly skilled and experienced Adelaide Biplanes pilot. 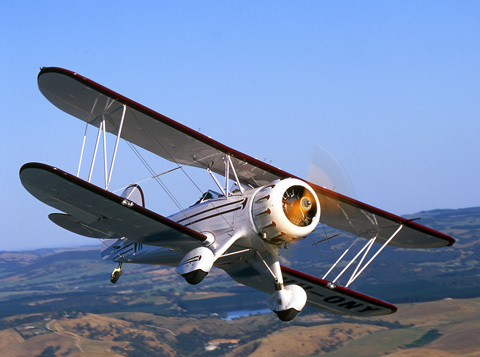 Adept at taking our passengers through an extended series of classic manoeuvres in the skies of this stunning wine region, Adelaide Biplanes guarantees that anyone’s senses will seriously be put on overload. 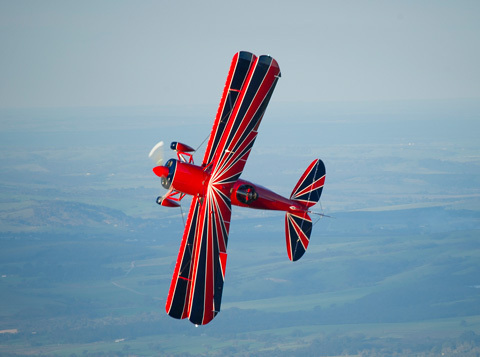 So let’s look at an aerobatic experience from the passenger’s perspective. After the pre-flight briefing about the upcoming aerobatic manoeuvres and procedures, your excitement levels will already be mounting. Then you see it … red, indigo and white, starbursts and stripes … it even looks fast as it impatiently waits to burst into action … just for you. Climbing into the aeroplane, all of your senses are tuned to a fever pitch. Passenger briefing, pre-flight checks, taxiing to the runway, full power on, feel the power of the take off as you sit back in your seat. Now you are on your way. And then it really begins. The thrill of the action. The pull of the G’s. The pace. The sensation. The extreme twists and turns. The view of everything around you from every perspective possible. The extremes. The adrenalin. And the sheer exhilaration.